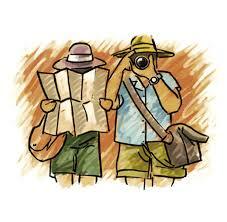 TAKE NOTICE, that the Corporation of The Municipality of Huron Shores will hold a Public Meeting on February 13, 2019 at 7:00 P.M. at the Municipal Office in Iron Bridge to consider the proposed Official Plan and Zoning Amendments pursuant to the requirements of Section 17 and 34 of the Planning Act, R.S.O 1990, as amended. The purpose of the Official Plan amendment is to include a notwithstanding clause to the Countryside Policy Area, to permit the manufacture of custom docks and the sale of docks, sheds, saunas, and other accessory structures geared to cottagers. The purpose of the Zoning amendment is to authorize an exception to the current Rural Zone, for a ‘Custom Workshop’ and ‘Retail Store’. A Key Map showing the property to which these Amendments apply is provided on the attached page. If you wish to be notified of the decision of The Corporation of the Municipality of Huron Shores on the proposed Official Plan and/or Zoning amendment, you must make a written request to The Municipality of Huron Shores, 7 Bridge St., PO Box 460, Iron Bridge, ON P0R 1H0. 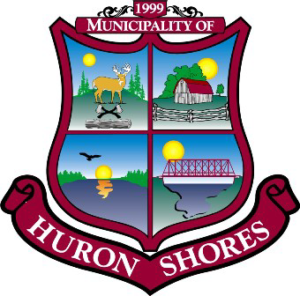 If a person or public body does not make oral submissions at a public meeting, or make written submissions to the Corporation of the Municipality of Huron Shores, before the proposed Official Plan amendment is adopted and the Zoning amendment is passed, the person or public body is not entitled to appeal the decision of the Council of the Corporation of the Municipality of Huron Shores to the Local Planning Appeal Tribunal. If a person or public body does not make oral submissions at a public meeting, or make written submissions to the Corporation of the Municipality of Huron Shores, before the proposed Official Plan amendment is adopted and the Zoning amendment is passed, the person or public body may not be added as a party to the hearing of an appeal before the Local Planning Appeals Tribunal unless, in the opinion of the Tribunal, there are reasonable grounds to do so. ADDITIONAL INFORMATION relating to the proposed Official Plan and Zoning amendments is available for inspection at the Municipal Office during regular office hours (Monday to Friday between 8:30 a.m. and 4:30 p.m.). Dated at the Municipality of Huron Shores this 15th day of January, 2019.